Chartboost is a highly scalable, complex business with many moving parts. We are looking for a talented and motivated Software Development Engineer in Test to join our team. You will be responsible for ensuring the stability of the Chartboost ad serving product by building and maintaining automated testing frameworks with relevant tests, as well as manually testing new features when necessary. You will work side-by-side with the Product and Engineering teams as new features and improvements are developed, tested, and launched. The ideal candidate will complement our Engineering team to increase efficiency and overall productivity. Chartboost is the largest mobile games-based ad monetization platform in the world. We reach an audience of over 900M unique users every month across more than 300,000 mobile games and work with 90% of the top grossing iOS and Android game developers, globally. The Chartboost SDK is the highest-integrated independent mobile ad SDK and through Chartboost Exchange, Ad Network, and other services, we empower developers to build businesses, while connecting advertisers to highly engaged audiences. Create and execute test plans and test cases. Find, research, and report bugs. Work closely with product and developers to ensure high quality products. Understand and contribute in product requirements, architecture and design. Actively participate in the QA process enhancements. Ability to plan own work and independently prioritize tasks. Keep up to date with standards and requirements of software quality assurance. Compile weekly and monthly reports. 2+ years QA experience focused on automation. Understanding of manual testing in agile context. Ability to accomplish timely delivery of projects in a fast paced tight deadline environment. High degree of problem solving skill and sound judgment. Understanding of checking vs testing. Good knowledge of Linux and using the command line. Detail-oriented, analytical and conceptual brain. Test automation experience of web apps, mobile apps, web services, and APIs. Experience with writing and maintaining test automation frameworks. We are proud of the product we've built and appreciate the impact it has on other people's businesses and lives. We want to be surrounded by people who are always finding opportunities to try something new and grow. We love data and anything that helps drive intelligent decisions and always design with the user in mind. Sounds like a fit? Join us, and be part of the team that will change the future of mobile gaming! Chartboost is the largest mobile games-based ad monetization platform in the world. We reach an audience of over 900M unique users every month across more than 300,000 mobile games and work with 90% of the top grossing iOS and Android game developers, globally. The Chartboost SDK is the highest-integrated independent mobile ad SDK and through Chartboost Exchange, Ad Network, and other services, we empower developers to build businesses, while connecting advertisers to highly engaged audiences. 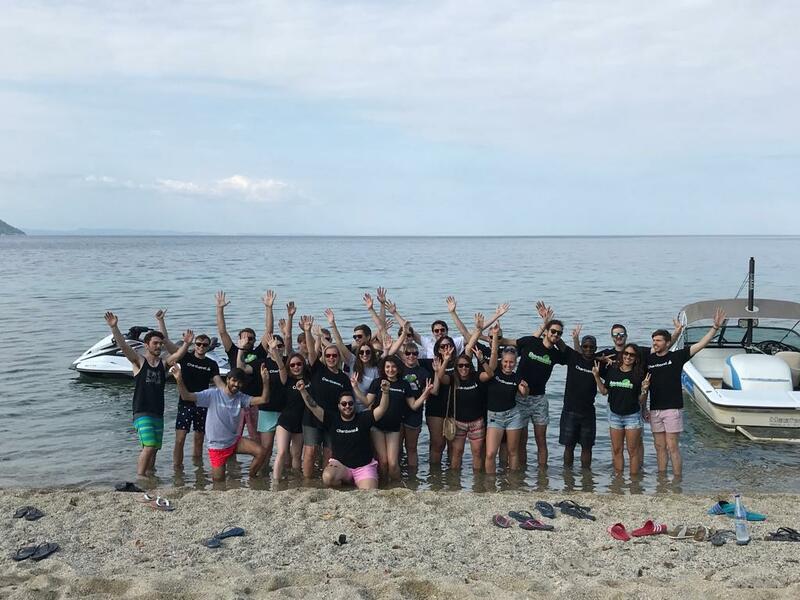 We have offices in San Francisco, Amsterdam, Beijing, and are rapidly growing and looking for passionate people to expand our team in Barcelona.